Clean looking Royal Enfield Interceptor. What appears to be "a very nice low miles 1969 Series II" Royal Enfield, for sale on eBay in Staten Island, N.Y., immediately caught the attention of the Yahoo Royal Enfield Interceptor Owners Group. "That is perhaps the nicest British bike I have ever seen. Time to take out the second mortgage!!" was one initial comment. But the conversation quickly turned to questions about whether the motorcycle can possibly be the "museum piece" the seller says it is. 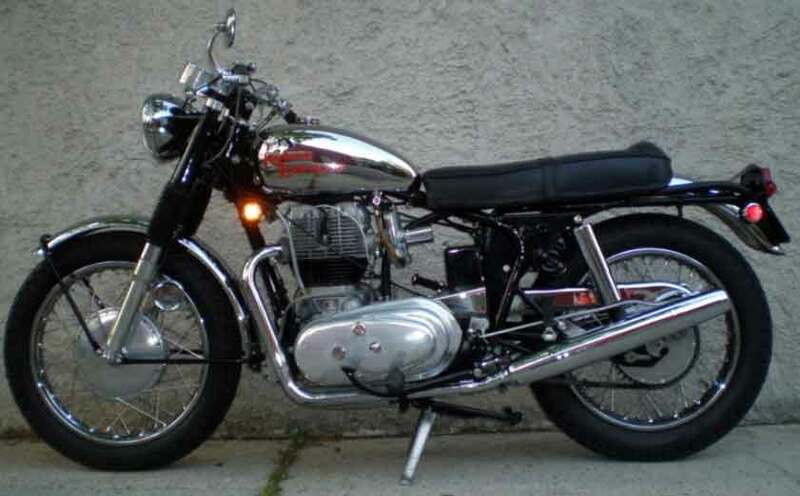 "What I got is a very nice 1967 Royal Enfield 750 Interceptor with 670 original miles. This bike is a museum piece and most of its life it sat in museums. The bike is all original and looks like brand new and if you are in the market for a Royal Enfield it cannot get any better." That was enough to cause concern on the Yahoo message board about "the seller knowing so little about the bike that he doesn't know a Series II from a Series I." Eventually, the seller added: "Sorry for the confusion. This bike is not a 1967. This is a 1969." That correction didn't do much to restore confidence on the Yahoo discussion board. "I know I may be talking rubbish but there appears to be some anomalies with this bike," one member began, gently. "Speedo to the right, normally to the left, suggesting possibly other assembly anomalies.... Maybe it's just the speedo that's been through that number of miles?" guessed another. Members examined the pictures and pointed to an inspection plug that stands proud of the primary cover, a missing "Made In England" decal on the front frame, and a seat they thought might be an aftermarket model or seat cover. There was that oil cooler — a 1970 feature — on a 1969 model. It could have been fit as an option. Oil cooler and red silicone on motor raised questions. More disturbing was what looked like a dab of red silicon between the head and barrel and much red silicon between the block and barrel. Silicon is disliked as a way to join those parts and, besides, why would a motorcycle with only 670 miles on it have had its engine apart? The seller, Bert Fernandez, was kind enough to answer my questions about the Enfield at the phone number listed in his ad. He freely admits he is "not that familiar" with the Enfield, although he owns a motorcycle shop and collects motorcycles. His information about the motorcycle comes from the previous owner, who is deceased. This is one of three motorcycles Bert says he bought from the man, and he is "absolutely" confident that it has only 670 miles. He says that it is "quite possible" that the motor has been apart, since motors may develop leaks even in museums. The Interceptor is "100 per cent original, that's what I've been told." The Interceptor was in a Guggenheim museum show in the late '90s, he said. (The Guggenheim's famous "Art of the Motorcycle" exhibition was in 1998, and it made appearances around the country with various numbers of motorcycles included. I can't find a complete catalog online.) Anyway, the important thing is, it "looks brand new." "Everything is way too shiny and clean. I doubt a new RE, still in the crate, would be as shiny!" "I would suggest an inspection is definitely warranted. It's not so much what has been spotted, as much as what has not been able to be inspected." "As an AMCA field judge and an owner of seven Interceptors (five being '69 models) and having just restored two of them (1969 models) I can say with all certainty that this is a rebuild AND who knows how many miles are actually on it... It is fun to critique another's work." "Now, this bike may be worth every penny! Depends on the mechanicals. I just don't think it's original!" The seller, an eBay member since 2004, has 100 per cent positive Feedback. The Interceptor is the only item he has for sale at the moment. The Yahoo Royal Enfield Interceptor Owners Group is open to members only, but you can join here. Founded in November, 2001, it has 300 members and a very helpful separate website. It's devoted to the made-in-Britain Royal Enfield Interceptor 750cc Series I and II. These powerful parallel twins were the final gasp for Royal Enfield in Britain. While members are pleased that India has carried on building Royal Enfield Bullets, they maintain the Interceptor is something special — more powerful and, in a way, more modern. "This was the last of the Royal Enfields, not the Bullets that were from a 15-year-older stock, which India took as a starting point for their manufacturing," the website notes. Have a 1967 mk 1 interceptor cannot find correct breather hose anywhere. Can u help? Even Waldrige and hitchcocks sent me clear reinforced hose. I do not know enough about these to comment on the originality, but it certainly is a beauty. So much confusion. The bike from sporscargallery has silver barrels, the other has black. How many RE's have 670 miles? I HAVE TWO ROYAL ENFIELD TWIN CYLINDER MOTORCYCLES. THE FIRST A 1968-1/2 MK 1A AND THE SECOND A 1970 CLYMER INDIAN ENFIELD 750 MK11. THE SECOND BIKE IS IN NEED OF MANY HARD TO SOURCE PARTS. ANY HELP WOULD BE GREATLY APPRECIATED. MY RUNNING 68 IS SUCH A FINE MOTORCYCLE THAT I DONT RIDE MY TRIUMPH, BSA OR NORTON MUCH. PLEASE CALL RANDY AT 805-217-2644. THANK YOU. WOULD LIKE TO PURCHASE A COMPLETE 1968-1/2 ROYAL ENFIELD MK1A TWIN IN COMPLETE CONDITION. I WILL PAY YOUR PRICE FOR THE COMPLETE AND CORRECT MOTORCYCLE. PLEASE CALL MIKE AT 818-703-6346 ANY TIME. THANK YOU. 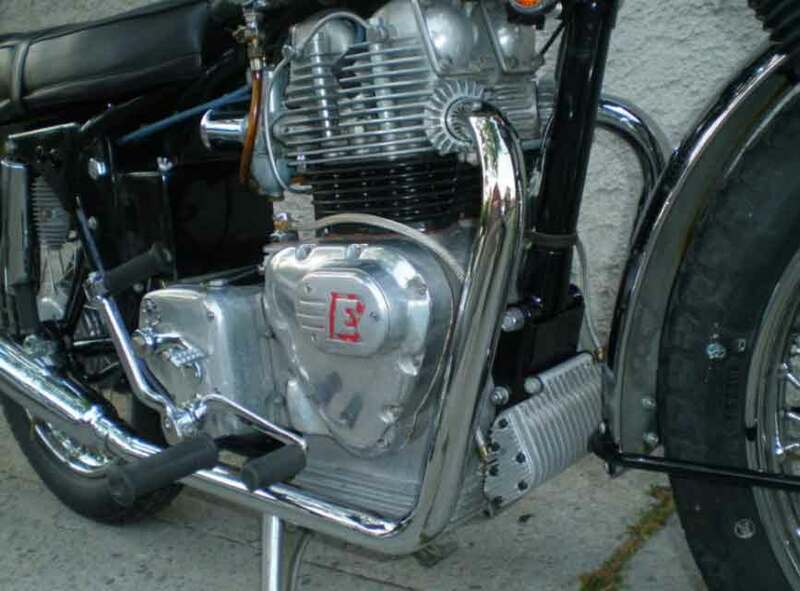 PLEASE, LOOKING TO PURCHASE A 1968 THRU 1970 ROYAL ENFIELD INTERCEPTOR MOTORCYCLE. ANY CONDITION IS FINE. WILL PAY YOUR PRICE FOR ANY TWIN MOTORCYCLE. PLEASE CALL MIKE AT 818-727-1965 ANY TIME. THANK YOU MIKE. I AM LOOKING FOR ANY ROYAL ENFIELD TWIN CYLINDER MOTORCYCLE FROM 1967-THRU-1970. CONDITION IS NOT AN ISSUE AS LONG AS IT IS BASICALLY A COMPLETE MOTORCYCLE. WILL PAY YOUR PRICE. PLEASE CALL 818-703-6346 AND ASK FOR MIKE ANY TIME. THANK YOU. WOULD LIKE TO PURCHASE ANY AND ALL ROYAL ENFIELD INTERCEPTOR MOTORCYCLES FROM 1967-1970 ANY CONDITION FOR YOUR PRICE. CASH PAID. PLEASE CALL JOHN AT 818-727-1965 THANK YOU JOHN. want any royal enfield interceptor motorcycles 1968-thru-1970. please call mike at 818-922-9346. thank you mike.